The BCBee has a hood resembling a VW Thing, but with more slope. The fenders are rounded and the sides are high. The tail section is flat with a slight curve to it. 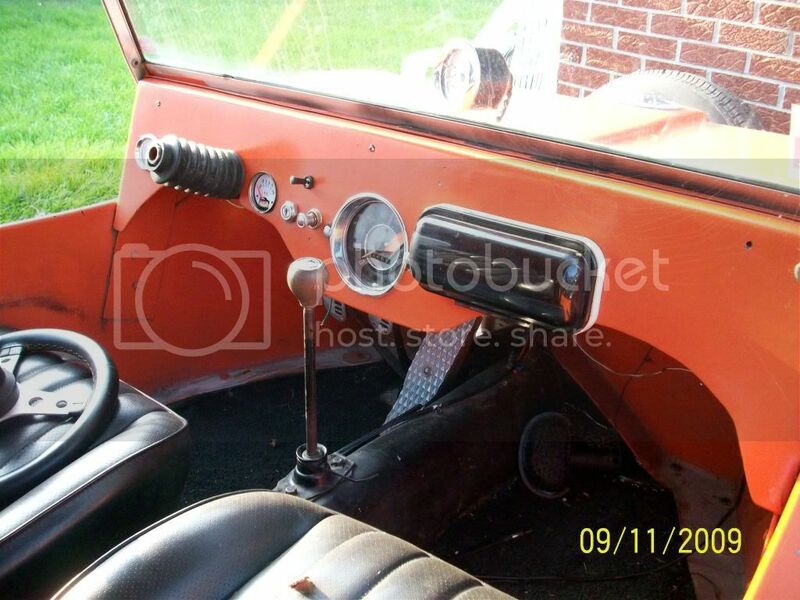 The dash is absolutely flag and part of the hood. Currently in pieces as seen in photos. Hard top is in good shape, and frame is good but floorpan may need a little welding. Just picked this up off of Craigs List. Originally came from Reed City. I am planning on a complete rebuild this summer. Re-gel coated with blue metal flake. The body has a 3" lift kit and a full roll change. 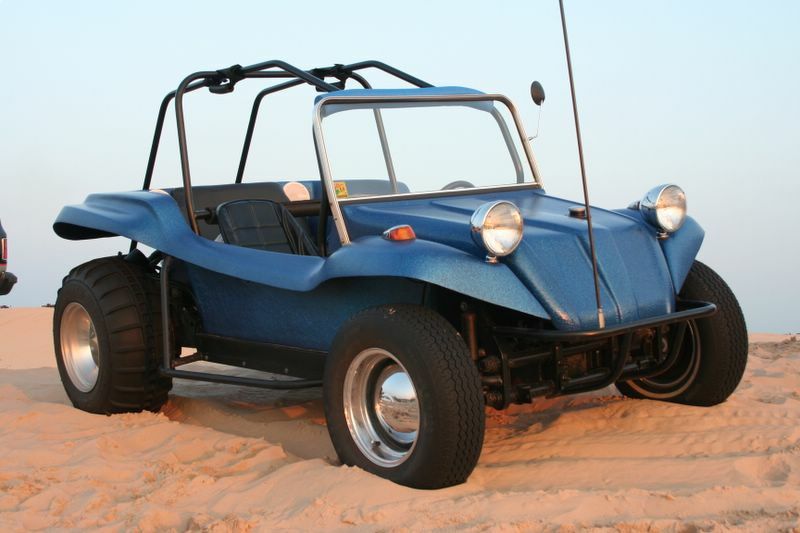 Based on a VW pan with extensive reinforcement, flat steel floor, and reinforced front and rear shock towers. In the dunes at Silver Lake, Michigan. 14.50 Desert Traks mounted on Douglas aluminum rims. Heavy duty VW Type 1 built by Thom Leduc. It's supposed to be the "get in and go" buggy, but many years later, we are still trying to perfect it. Fuel injection should be the trick. 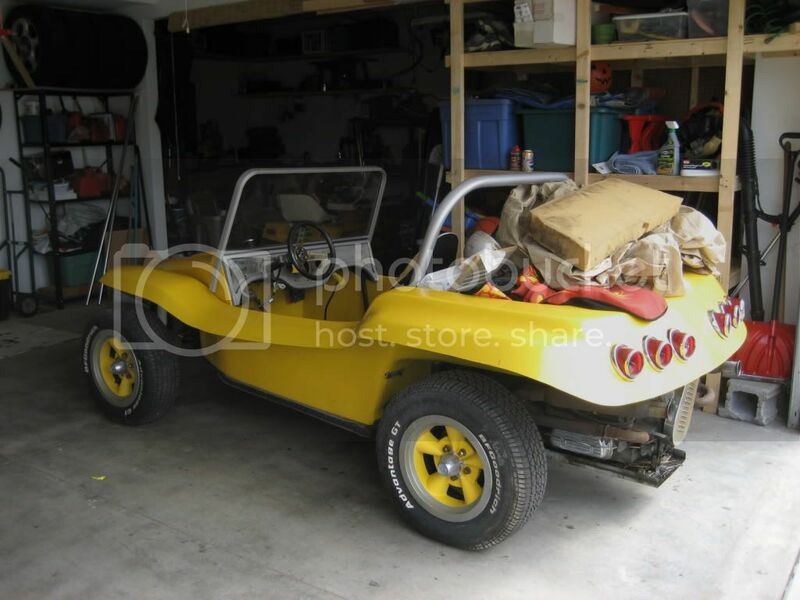 It was bought as the substitute buggy for The Imp while the Subaru transplant took place. It now doubles as a jungle gym and troop transporter for sand boarding runs. Well, I guess she's a BCBee. Makes sense, I guess, I'm in Indana, not too far from Battle Creek Michigan. seems to be a 1970 shortened bug pan, based on engine serial # shows the engine was produced between Aug of 1969- July 1970. Rusted pretty bad. I'm just now tearing into this thing and am considering replacing the pan with tubing. Appears to be very stock. It's a 57 horsepower 1600. Built between August 69 and July 70. Well, I convinced my buddy to buy this thing like 7 years ago. We did alot of work on it then as far as sanding, bondo-ing, painting and wiring. Then he moved and I never saw it again until last summer when he called me and asked if I'd buy it since he was moving in town. Buy this time it looks like the engine needs rebuilt, but I couldn't pass up the price he offered to sell it to me for, so, still waiting for that oil leak fix in my garage. Goodrich Advantage GT, no idea what size. 215 / 70 / 14 maybe. Wheels: No idea. Help me out? Center caps say "keystone". I'm in the phone book, so if you REALLY want to call me, you'll have to do a little work. 1679cc with dual 34 Solexes, mild cam, dual port heads. I drive it when the weather allows! Grand Am P195/60 R15's mounted on 6" wide Chevrolet Rallye Wheels from mid '60's. Mickey Thompson 29 x 12.50-15LT's mounted on 10" wide Chevrolet Rallye Wheels custom made by Pete Paulsen in California. Built in St. Paris, Ohio. 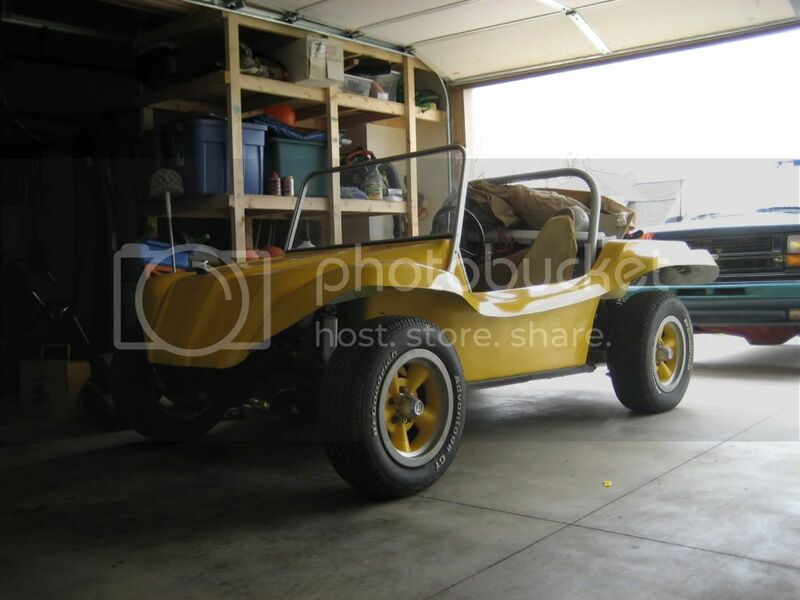 My dad built this buggy in 1970. Dad built it "on the cheap" using the original 36hp engine. After he passed away, I acquired the buggy. 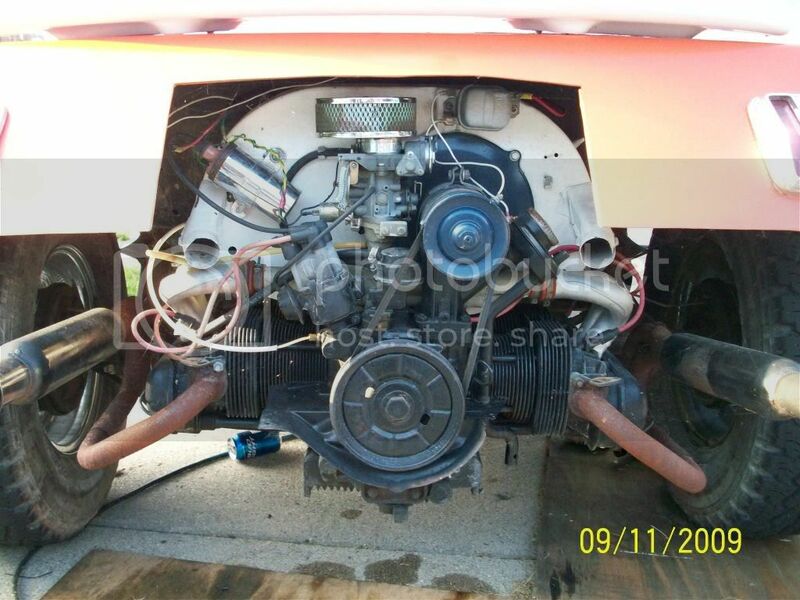 Being the gearhead that I am and wanting more horsepower, I started a rebuild in 1980. With family obligations and moving around the country to chase employment, I finally finished the project for Fathers Day 2005. Found on Craigslist. Bought and brought home and been rebuilding/restoring since. Originally red metal flake, but has now been repainted to a line green by previous owners. Hope to return to red metal flake at some point. 62 VW pan in great shape. 1915cc with dual Solex carbs and other modifications. 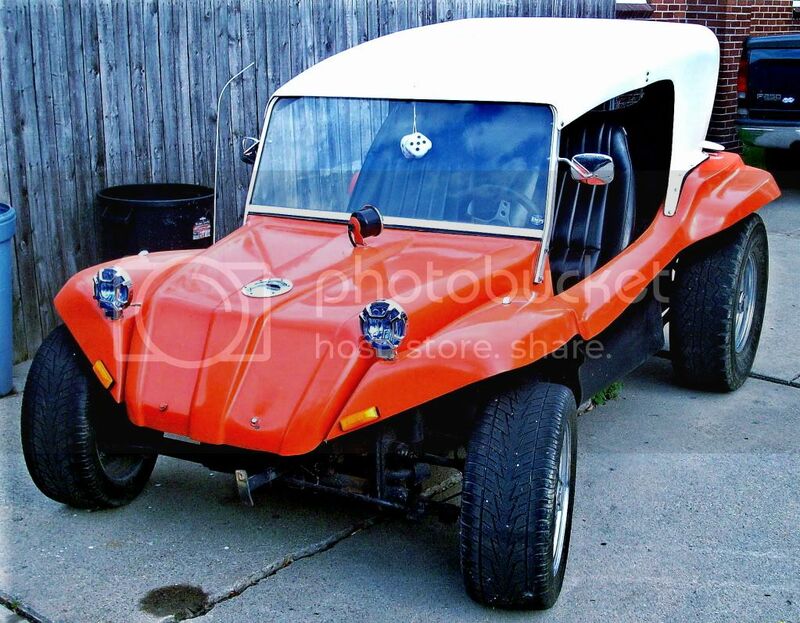 Great condition dune buggy. 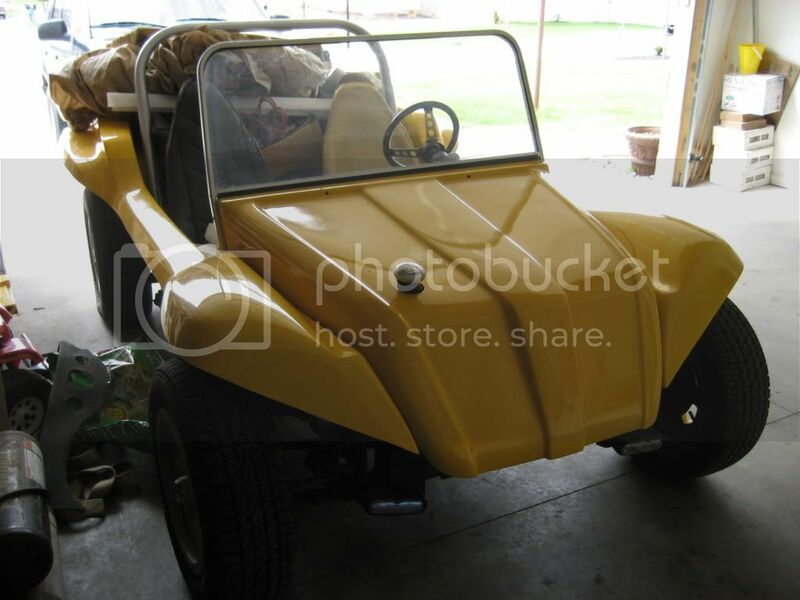 I have been told that this buggy was used as the mascot parade vehicle for Kansas (City?) State University when it was originally built. I have not been able to locate any pictures or more information. I met the owner one day while getting gasoline. 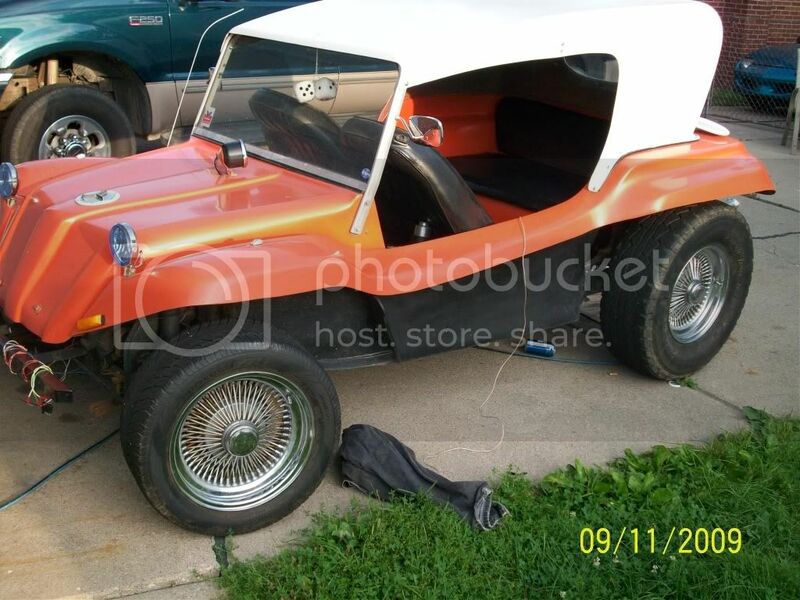 About a year later I got an email that said he was selling it since he didn't have enough time for the buggy. It is in great condition and runs great.